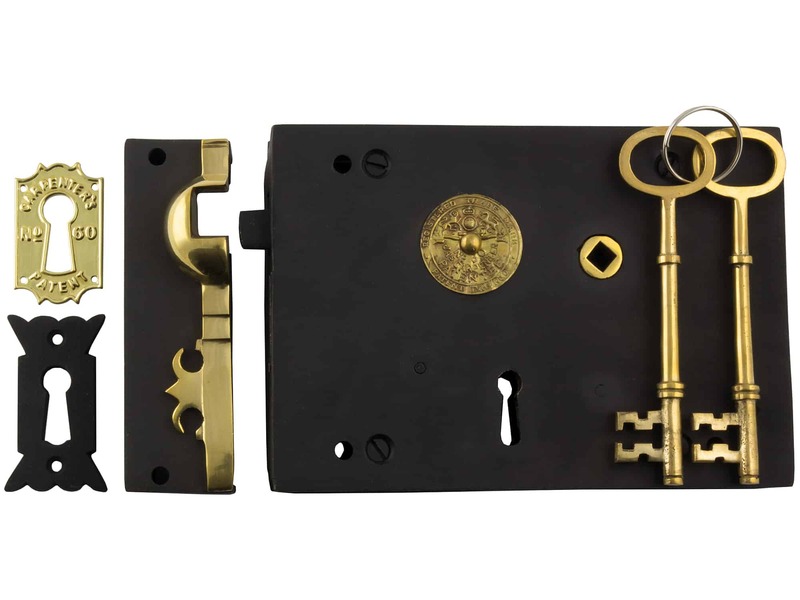 Traditional cast iron ‘Carpenter’s’ lock, available in 2 sizes with Left or Right-Hand options, this ornate matt black rim lock is designed to be installed onto the inside face and fits with a knob (purchased separately) for that old style look. 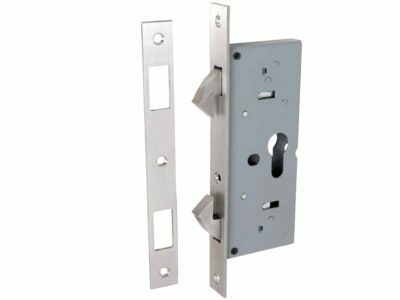 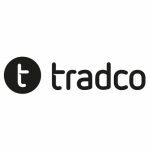 Low security, spare Key and spare box keeper available separately, matching escutcheons and mortice knobs available also. 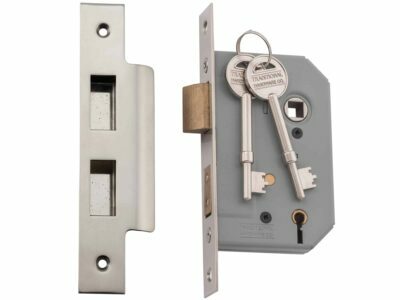 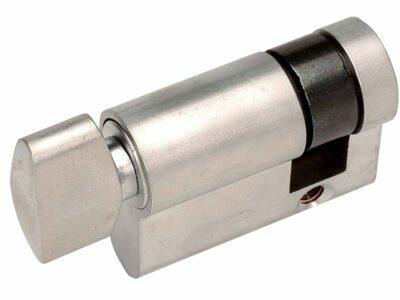 Kit includes rim lock with the strike plate, two keys, and screws to fit.